Tired of Mario Kart 8 yet? Neither are we, but those looking to dive back into the racing series' history now have an easier option thanks to the emulating powers of the Wii U. The original Super Mario Kart on the Super Nintendo is live from this week, and it is bound to unravel the brains of today's spoiled Mario Kart fans. Seriously, to play this game, you practically have to forget about everything you'd come to know about steering your cart and approach it with a totally empty mind, ready to learn an entirely new set of physics. 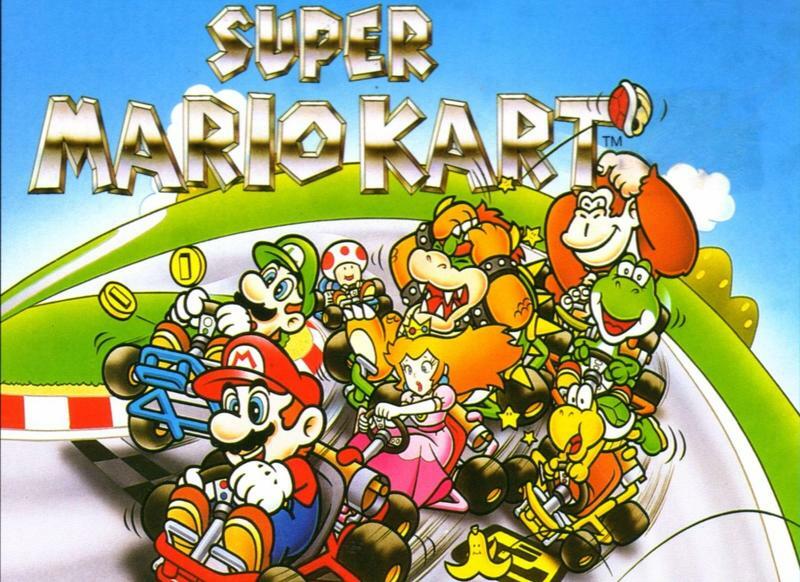 I didn't jump aboard with the series until Mario Kart 64, and I find this one really difficult to jump back into when playing against friends on my Super Famicom. Still, no reason to dismiss it. It's an important game for both establishing a multi-million selling franchise and showing off the Super Nintendo's Mode-7 graphics. Plus that late 80's/early 90's Mario art is just fantastic. The cast is just overflowing with so much more character than they have today. Along with Super Mario Kart, the Wii U also gets a huge boost of indie games with Lone Survivor: The Director's Cut, Stealth Inc. 2, and The Swapper reaching its digital channels.